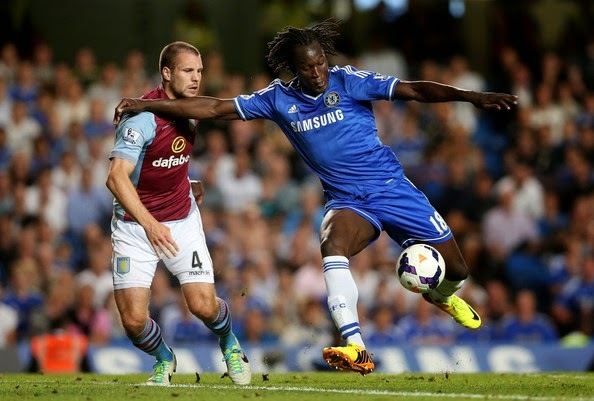 Chelsea striker talks of leaving this summer! All the news lately has been the focus of Chelsea signing Diego Costa. As a result, Romelu Lukaku has spoken of his desire to leave Chelsea after the World Cup. Chelsea fans around the world have different opinions of Lukaku. Some believe he should go as it looks as though he is not going to be given his chance, and some believe he should stay and be given the chance that he has proven he deserves. “You know Chelsea: every year they buy a new top striker. I remember me coming into the dressing room last year and seeing Samuel Eto’o and Demba Ba and going: ‘Whoah! What’s happening here?’ But no problem. Many clubs are interested in me. It's difficult to understand but you cannot blame him. It's obvious that he can cut it in the Premier League after showing what he can do with both West Brom and Everton but it's important to remember our playing style and what the manager is looking for. I have said it numerous times, I personally believe Lukaku should be kept here to give us a different option up top when we are unable to break teams down. The problem is, in him being here for that option, you cannot see him being willing to accept squad rotation after knowing that he could be a main striker for one of the other sides in the league. One thing is for sure, it looks like he is off and if Chelsea can get around £25-£30m for him, I would be happy with the profit made once more! What do you people think now Lukaku has spoken of his desire to leave?